Bundesliga Daily rounds up all you need to know from Germany's 18 top-flight clubs. On 16 July, Carlo Ancelotti made a winning debut as FC Bayern München head coach, Mario Götze moved a step closer to rejoining Borussia Dortmund and emerging talent Johannes Eggestein fired SV Werder Bremen to an emphatic friendly win. 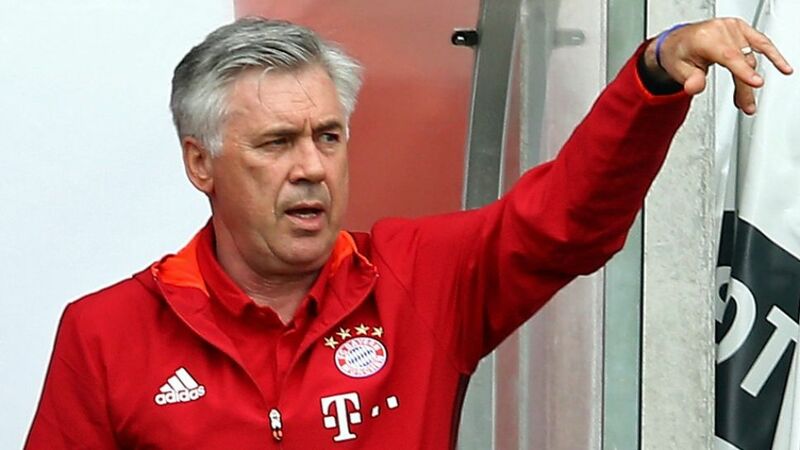 Ancelotti was made to sweat on his first outing as Bayern head coach. Double figures appeared to be on the menu for the Bundesliga big-hitters following first-half goals from Julian Green, Arjen Robben and Franck Ribery, but minnows SV Lippstadt fought back - despite conceding early after the restart - to give the final 4-3 scoreline more than just a shade of respectability. Of more concern, though, will be the extent of a worrisome injury to Robben, who hobbled off before half-time. Before the game, Bayern CEO Karl-Heinz Rummenigge told German broadcaster Sport1 that the Bundesliga champions are in talks with Borussia Dortmund regarding the possible transfer of Germany international Mario Götze. "Unfortunately, it hasn't worked out for him here," the 60-year-old said of the Dortmund youth product. "I think he needs to play and I think he needs to try to do that at another club." Rummenigge has also been talking up the world-beating qualities of summer signing Renato Sanches. "It's extraordinary when someone plays at the Euros like he did at the tender age of 18," the Bayern chief said of the freshly-minted UEFA EURO 2016 winner and Young Player of the Tournament. "I was nowhere near that level at the age of 18. But then again, he does seem to have extraordinary talents." He's 18, German and plays as a striker. Could SV Werder Bremen's Johannes Eggestein be the answer to Joachim Löw's prayers? The Hanover-born talent, who recently signed on the dotted line with Bremen until 2019, scored a hat-trick as the Green-Whites put a Neuruppin XI to the sword on Saturday in a crushing 8-0 win. It's still very early days, but remember the name and watch this space!